We really haven't caught much of any break over the past few weeks from the above average temperatures. The record average monthly temperature for May is 76.8° which occurred back in 1962. If May were to end today, we would have the second highest average temperature for the month of May at 76.6°. And for the period May 1-23, this year currently is the warmest on record! While we won't be setting any record high temps in the next few days, temps will still be 5 to 10 degrees above average. Right now our overall weather pattern has been dominated by a weak mid-level ridge that has been hanging out over our area. This ridge has helped keep those afternoon thunderstorm chances down a bit the past day or two. At the surface, a high pressure system is located in the Ohio River Valley, which has also helped to keep our temps above average and afternoon shower chances to a minimum. Overall, today and tomorrow look to be pretty similar. While mid-level features will try to push the already weak ridge out of our area, the trough following behind will not be strong enough to really impact our overall weather conditions, other than perhaps a few more afternoon showers or thunderstorms. Highs will stay in the upper 80s to finish up the work week with some scattered afternoon showers/thunderstorm chances each day. Given the location of the stationary boundary, this will help keep some cloud coverage around both days as well. As we move into Memorial Day weekend, the previously mentioned mid-level trough will begin to have more of an impact. Overall, temps look to follow the typical summertime vibes with highs reaching the upper 80s on Saturday and Sunday. Dewpoint temperatures look to be pretty uncomfortable both days as well - near 70 degrees - making for a sticky, sweaty airmass. As for rain chances, our afternoon rain chances look to increase slightly both days. Showers and thunderstorms will likely still be scattered in nature, so not everyone will see these showers. Hopefully they will hold off in the AM for those running in the Great American River Run on Saturday. By Saturday afternoon, rain chances will increase a bit, but I wouldn't let that discourage you from going downtown for #901Fest to wrap up Memphis in May. Overall, there is no need to cancel any plans this weekend, but having a good rain plan just in case would be beneficial. 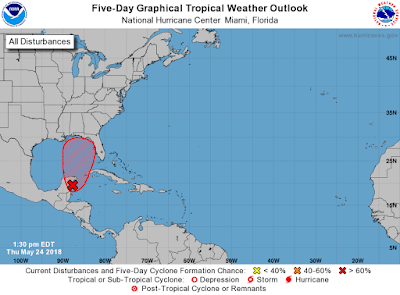 Yes, there is a developing tropical system in the Gulf of Mexico. 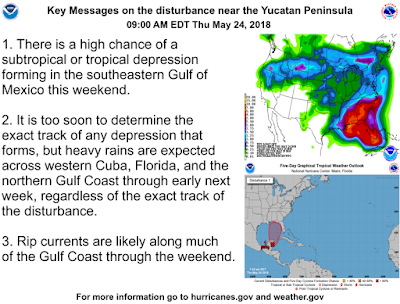 In short, the National Hurricane Center is keeping a very close eye on an area of low pressure currently stationed in the Yucatan Peninsula. 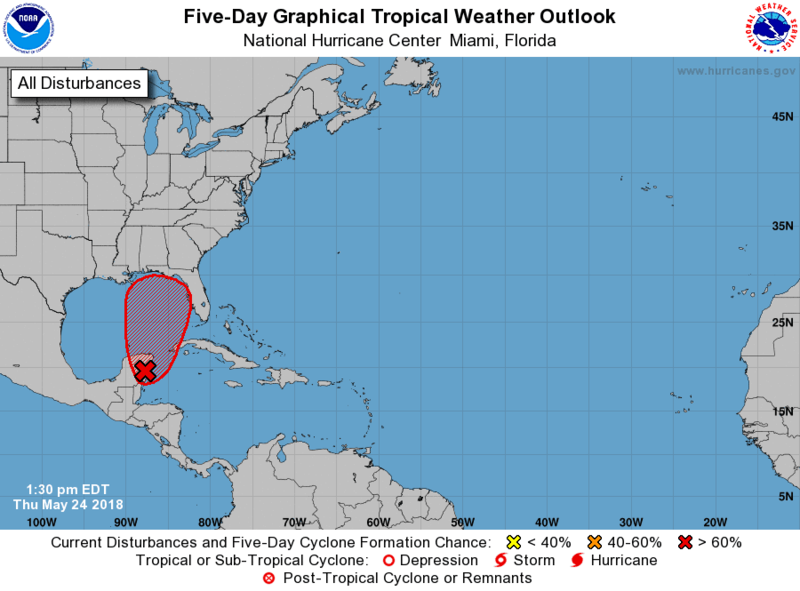 This system is expected to become more well-defined in the coming days as it moves into the Gulf of Mexico where warm water awaits. The conditions in the Caribbean Sea, where it is currently located, are favorable for this system to develop into a tropical system. There is a 70% chance of development within the next 48 hours and a 90% chance of formation in the next 5 days. The system will likely continue to develop in the coming days. 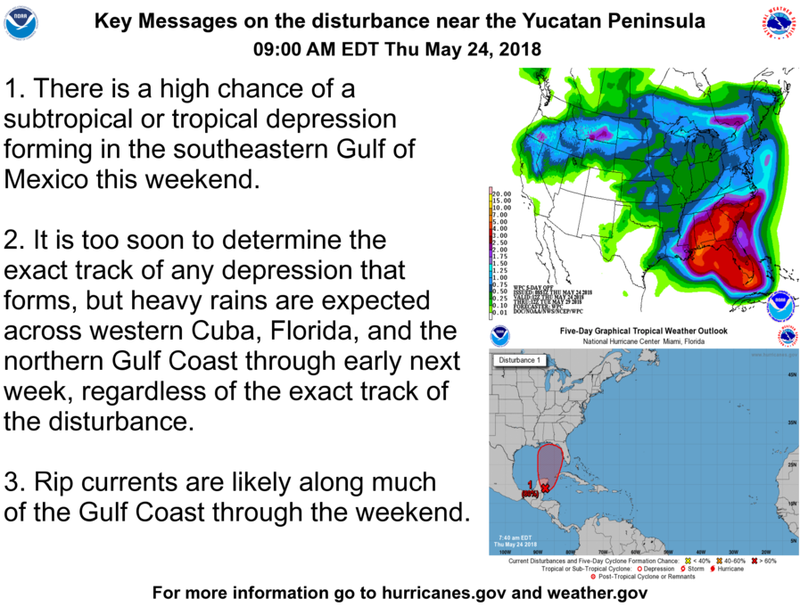 While this developing system won't necessarily get to hurricane strength, the main threats will be in the form of copious rainfall for the southeast U.S. and rip currents on the coast, which will likely make the waters at many beaches dangerous. So what exactly does this mean for us? Two things. First of all, we could potentially see some rain from this system in our area sometime next week. There are still enough variables at play that the "how much" and "when" questions can't be answered. We are currently expecting our scattered thunderstorm regime of this weekend to continue into Memorial Day and beyond. We hope that you all have a safe and enjoyable Memorial Day weekend as summer "unofficially" kicks off (despite it starting May 1 in the atmosphere here in the Mid-South)! Remember that you can take your MemphisWeather.net app with StormWatch+ activated with you on vacation for severe instant weather warnings, no matter where you go in the U.S.! And for local forecasts, radar, and current conditions nationwide, we recommend the free StormWatch+ standalone app for iOS devices. 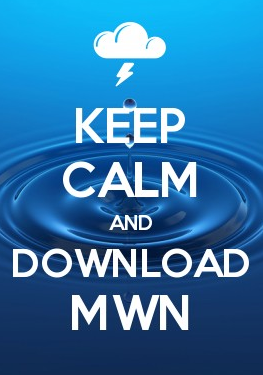 No need to pay for severe weather alerts in that app if you already have them in your MWN app!